We all love feeling the warm rays as we play outside with our little ones, but practicing safe sun is an important part of being outdoors. The 30Second Mom Community was recently introduced to an incredibly innovate product, Sunscreen Bands, to help enjoy a sun-safe summer with our families! Sunscreen Bands monitor your UVA and UVB exposure, and remind you when to reapply sunscreen and when to get out of the sun. They take the guesswork out of sun exposure, and encourage kids to be mindful of sunscreen application. Watch this video by Cheryl Leahy to learn more about them. Our friends at Sunscreen Bands shared tips with 30Second Mom on how to enjoy the summer sun while playing it safe! Q: What are the steps a family can take to be sun safe? A: Make sure to apply sunscreen to all exposed areas of your skin. Reflectivity is commonly overlooked. UV rays can reflect strongly from surfaces (such as snow and wet grass) and reach you, even when under shade. Sunscreen Bands are waterproof and measure the magnified exposure when in the water – great for both the beach and pool. Q: There are so many sunscreens on the market. Which ones work best with Sunscreen Bands? A: Any sunscreen with SPF 15+ works! Make sure it is broad spectrum (protect from both UVA and UVB rays!). Sunscreen has about a two-year shelf life. Check for an expiration date and, if you’re unsure, buy a new bottle to be safe! For more sun safe info and tips, be sure to check out our website. Q: Applying sunscreen can be a chore, especially with little ones. What are your tips? 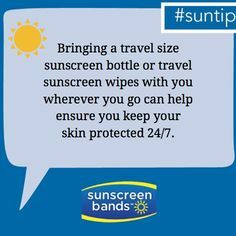 A: Sunscreen Bands can help! Kids love color change and when they see the bands fade, they are excited to show parents and reapply. Make sure skin is dry and sunscreen is completely rubbed in. Don’t wait until the last minute to slather on the sunscreen. If you are a car-ride away, apply before you leave so the sunscreen has time to absorb. Q: With so much sun safety info out there, can you give us your top tips? A: Reapply! Just because sunscreen is “waterproof” does not mean it lasts all day! Make sure to reapply throughout the day! Use broad-spectrum (protects from UVA and UVB) sunscreen with SPF 15+. 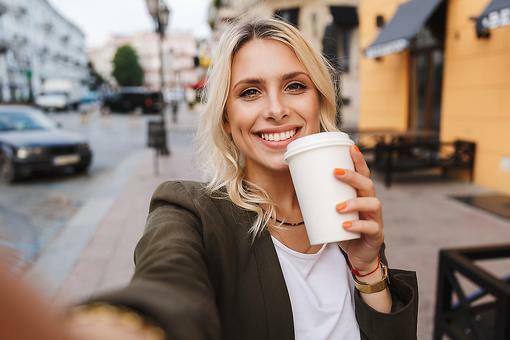 Dermatologists recommend using 1 ounce of sunscreen, enough to fill a shot glass, for the average-sized person to cover exposed areas of skin. Q: How do you deal with children who don’t want to wear sunscreen? A: Give them a mini science lesson about UV Rays. Kids love to learn and don’t fight as much when they understand why it is important. Lead by example! 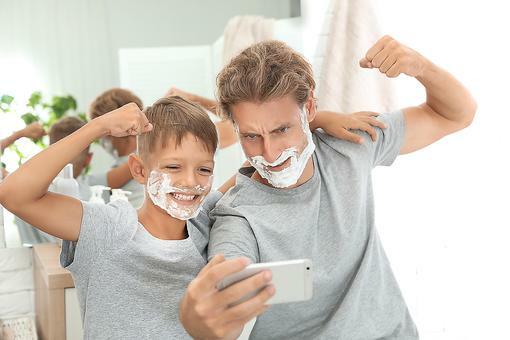 Show your kids how to be sun smart by doing it yourself! Check out brands like Coolibar; they have clothes for everyone that protect from 98 percent of UVA/UVB. Q: Parents have a hard time getting their child out of the water to reapply. How can this be prevented? A: Make sure you are using a water resistant sunscreen! 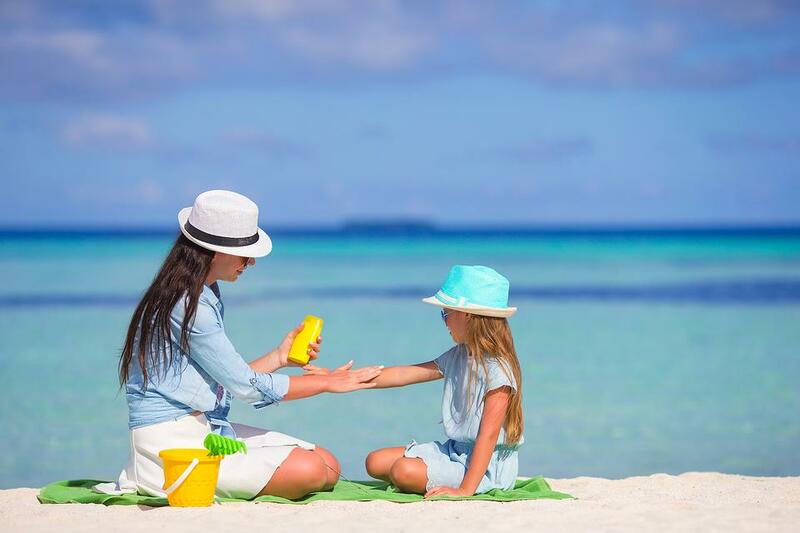 Allow time for the sunscreen to absorb before allowing kids to play in the water. Make sure skin in dry before reapplying. A great time to get them out of the water is for a snack break in the shade. 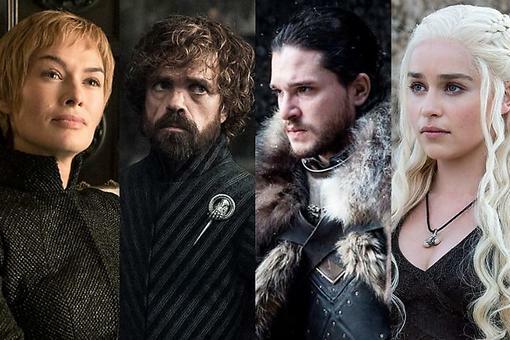 Q: Family vacations are the best! What are some sun tips for traveling families? A: Always carry sunscreen with you. A small bottle goes a long way and can easily be stored in a purse or beach bag. A large sun hat is great to protect your face. For kids, bring hats with their favorite sports team; it’s a great way to get them to cover up! For more sun safe info and tips, be sure to check out our Facebook Page. Q: What about in the winter? How can one stay sun protected? A: Use sunscreen as you would on the beach. Snow reflects sunlight, causing more extreme sun exposure. Use lip balm with SPF 30+ to protect your lips from both the sun and the cold weather. Wear sunglasses or sun protective goggles; your eyes are sensitive too! 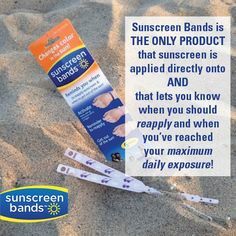 In addition to their website, make sure to check out Sunscreen Bands on Twitter, Facebook, Pinterest, and Instagram! This post was sponsored by Sunscreen Bands. 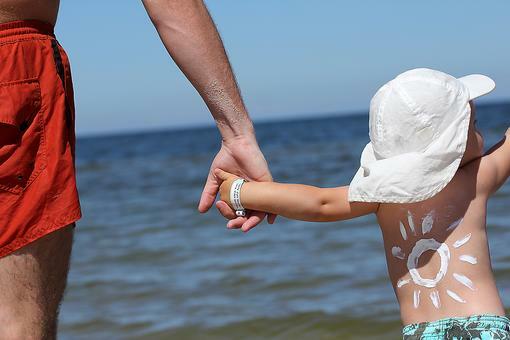 How Sunscreen Wristbands Help Keep Your Family Safer in the Sun! 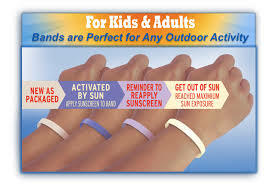 Keep Your Family Safer in the Sun With Sunscreen Bands!